A splash of oranges, pinks and yellows just before the sun touched the horizon. Backshore is the name locals in Maine give to the sand flats that appear when the tide is all the way out - enabling anyone to walk from island to island with ease! 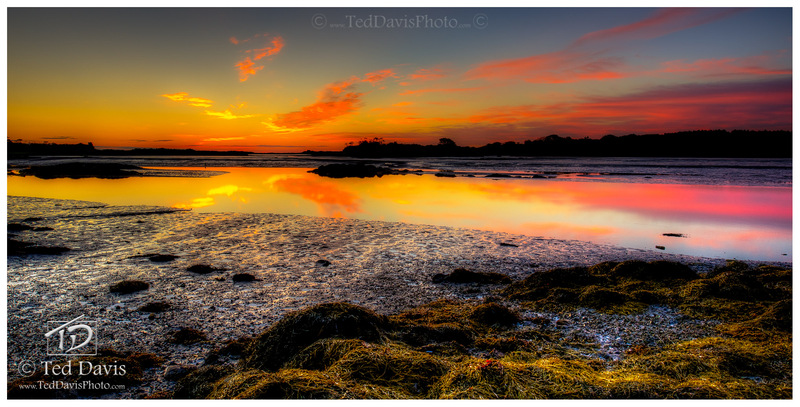 Photo © copyright by Ted Davis.